If you've ever struggled with which lettering styles to pair in a layout, how many of them to pair, how to integrate design elements, text weight and scale, this class has you covered. Follow best practices for discovering how the elements within layouts work and what you can do to apply the same elements to your own work. Learn how to create emphasis in all of the right places for impactful, beautiful messaging that resonates with the reader. Follow along with some quick exercises to plan out your layout and adjust it to perfection without starting over each time. 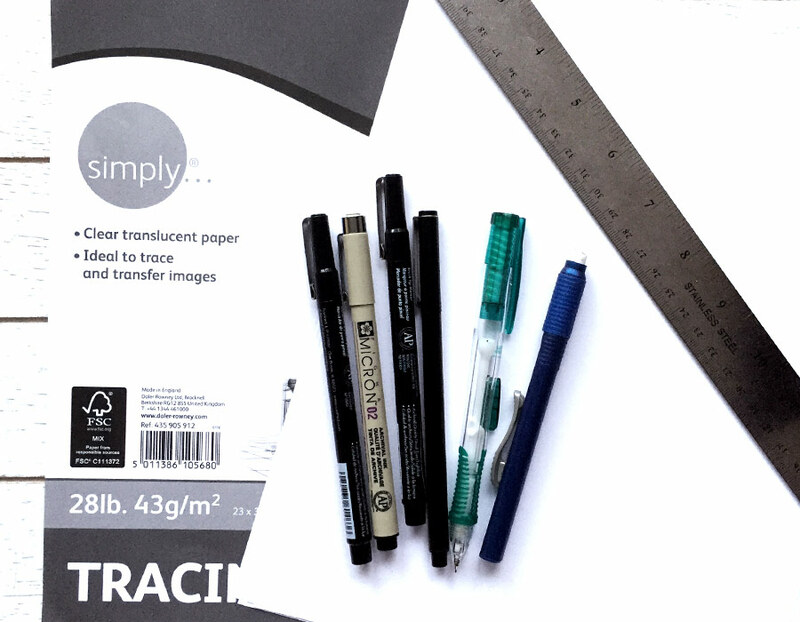 Once you create a layout you love, follow the next steps for digitizing your artwork and using it for multiple applications in the future. Ease into the process with a simple layout with a low word count and minimal elements. Build on the process and introduce longer phrases with more dynamic elements. 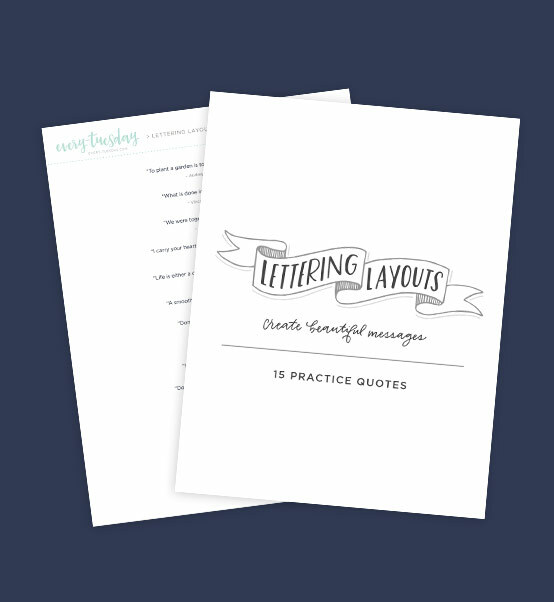 Best practices for lengthy quotes and phrases with flourishes and illustrative elements. Seeing someone create a layout in a timelapse is fun, but understanding why certain elements, styles and scales were chosen is even better. No layouts were prepared in advance of their recordings; you witness the entire process in the most genuine way, from start to finish. Every design consideration is narrated along the way so you know the 'why's' while also witnessing the 'how's'. 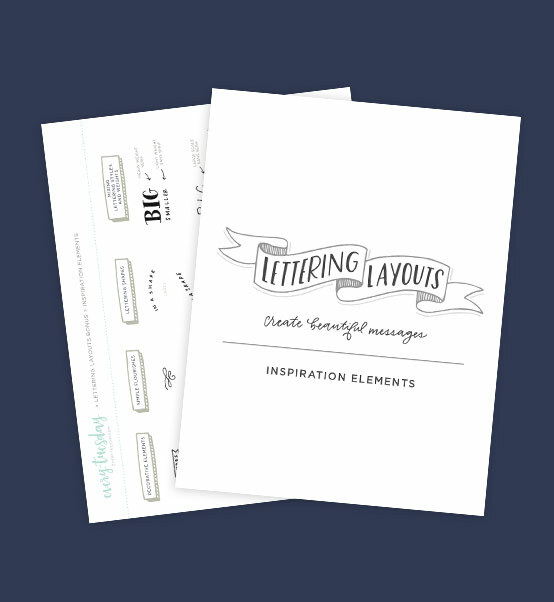 With bonuses to help your process along, you'll have everything you need to dissect successful layouts and apply everything you learn into your own work in a logical, meaningful way. No matter how far along you are in your layout journey, you can take things as simple or as complex as you'd like. Hey! 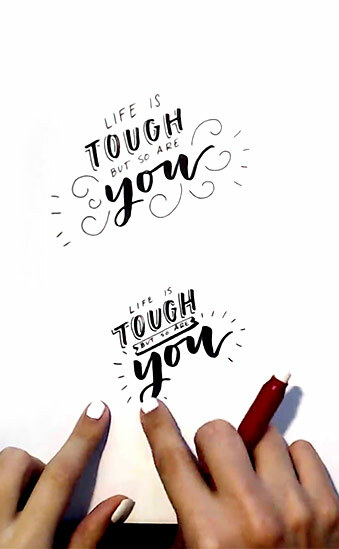 I’m Teela and I help ambitious graphic designers and hand letterers level-up their skills and creativity through online courses and free video tutorials on my site: every-tuesday.com. 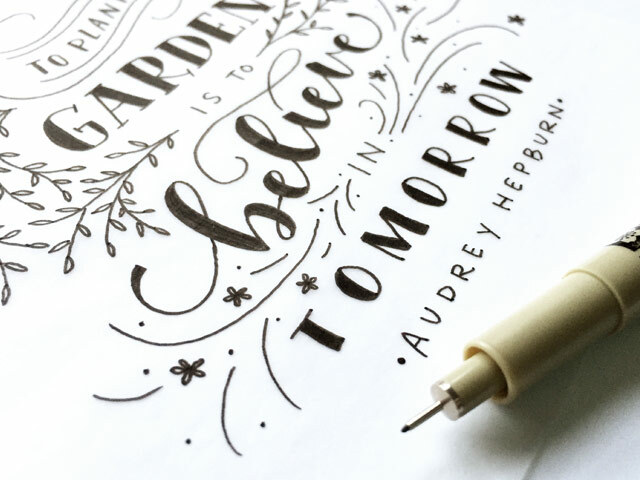 If you’re familiar with Every-Tuesday, then you know my love for lettering + design runs deep. In fact, in the last 4 years, I’ve taught over 50,000 students and my design + lettering videos on YouTube have accumulated over 10 million views. I love sharing what I’ve learned over my career and the creative tips that will have your artwork leveling up in no time. Everything mentioned throughout the class is listed on this handy, clickable pdf. Need a few quotes to practice the exercises with? Use this quotes sheet to get started ASAP. Use this cheat sheet for pairing lettering styles, using different design elements and integrating dynamism throughout your layouts. 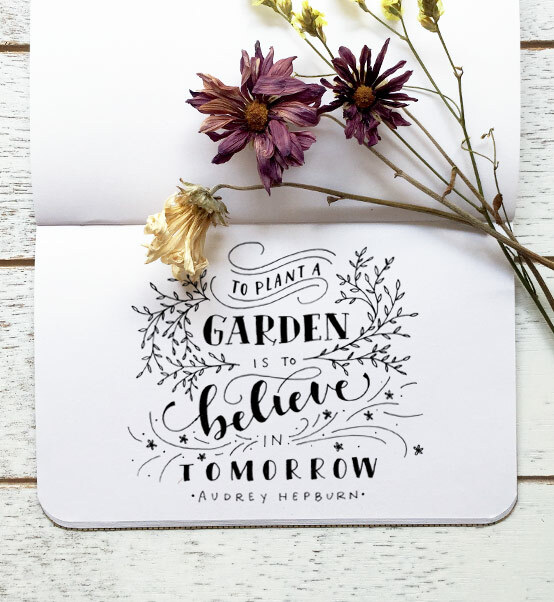 Create impactful, beautiful hand lettered messages in Lettering Layouts! By the end of the class, you'll understand which styles to pair in a layout, how many of them to pair, how to integrate design elements, text weight and scale. Use the included bonus cheat sheets for practice and future reference whenever you need them! Will I be able to access all of the videos at once? How is this class different than the one on Skillshare? This is the same class, but it’s available as a one time purchase here, where you will receive lifetime access and qualify for future updates. Skillshare classes are not updated and you need to maintain an active subscription on their platform if you’d like to refer back to the course in the future. Yay, options! 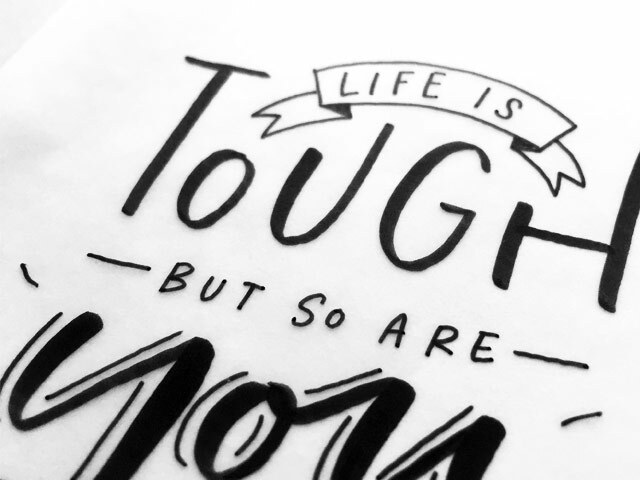 I’m still learning hand lettering. Is this for me? Yes! 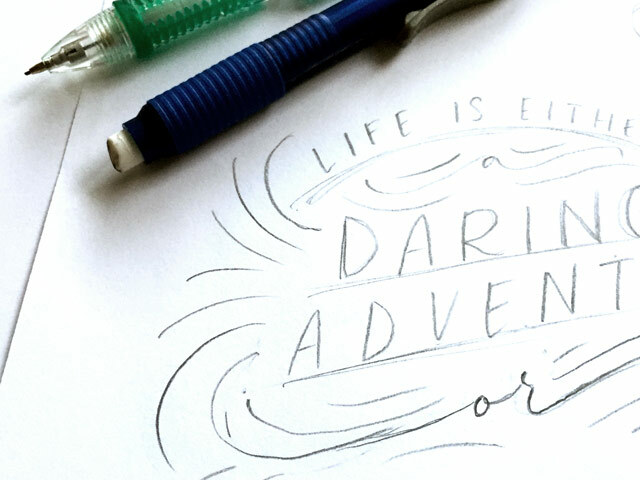 Having layouts in mind, even as you learn and develop your lettering further will enhance your outcomes much faster. 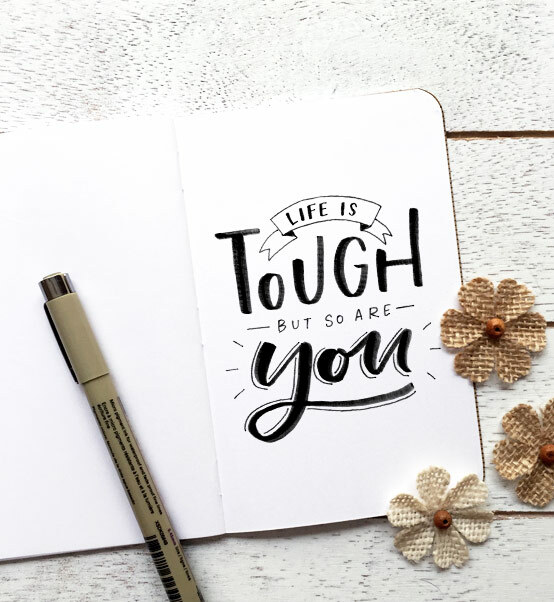 If you ever plan to create or sell stationery or freelance artwork with multiple words/styles, layout design will play a critical role moving forward. 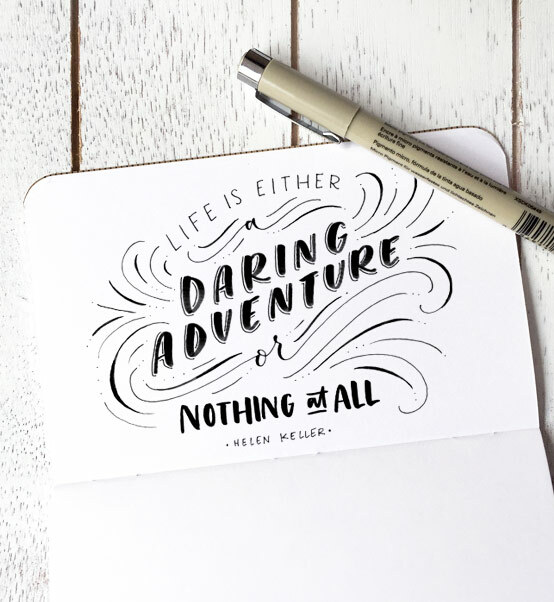 “I am recently trying to letter quotes because I’m relatively new. Before I took this class it was SO overwhelming. I have had so much fun playing around with layouts now that I have taken this class. It gives clear direction and ideas! 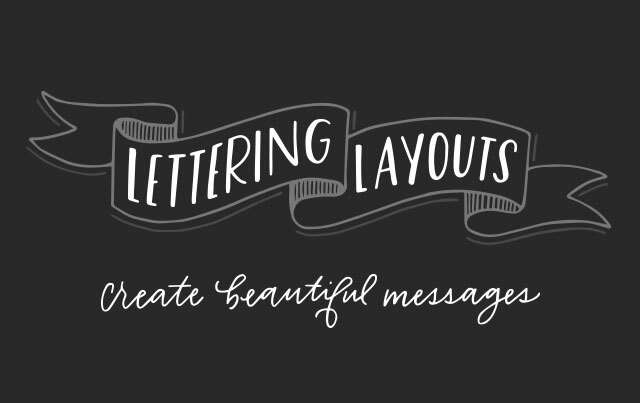 LOVE"
Welcome to Lettering Layouts, your course for creating beautiful, balanced and impactful hand lettered messages.